A secret plant that enriches uranium for Britain’s nuclear warheads on submarines has been shut due to “corrosion” in vital structural steelwork. The AWE Aldermaston facility was closed following inspections by the Office for Nuclear Regulation (ONR), the nuclear division of the Health and Safety Executive. Regulators feared one of the “older manufacturing facilities” at the complex in Berkshire, which builds components for the Trident ballistic nuclear missiles on Royal Navy Vanguard-class submarines, did not conform to standards that demand buildings are capable of withstanding “extreme” weather and seismic events. The ONR issued an “improvement” notice that prompted the closure by the AWE, the private consortium that operates the plant for the Ministry of Defence. AWE has been given until the end of this year to rectify the problems by the ONR. The group’s role is to manufacture and sustain the Trident warheads and “maintain a capability” to produce a successor to the ageing nuclear deterrent in the future. AWE said it covers the entire “life cycle” of warheads in Britain from initial concept and design through manufacturing and assembly to decommissioning and disposal. The firm is run by a group of three private companies: US firms Lockheed Martin and Jacobs Engineering Group, and the Serco in Britain. Critics last night said the corrosion in an older building highlighted the Britain’s “ancient and rickety” nuclear infrastructure. The ONR notice was served on November 8 after a scheduled inspection in August that found an “unexpected” area of steel corrosion in structural steelwork. The issue emerged through information published in the ONR’s regional community newsletters which are published quarterly. Inspections at the plant were said to have “discovered an unexpected area of corrosion on structural steelwork in one of their manufacturing facilities at Aldermaston”. Subsequent inspections by AWE found “further degradation” and all non-essential operations were stopped at the facility. It is understood the building in question is used for the manufacture of nuclear components and was found not be able to withstand “exceptional challenges”. “ONR investigated, and found that AWE had not fully complied with Licence Condition 28(1) in so far as its arrangements to examine, maintain and inspect the structure were not adequate to prevent the degradation of the structure, and the resulting challenge to its nuclear safety functions,” said an ONR spokesman last night. The Ministry of Defence last night said the ONR demands had not had any immediate impact on Britain’s nuclear submarine programmes. A spokesman said AWE was accessing the “extent of the problem” and considering “how best to rectify it”. An AWE spokeswoman said operations had been suspended as a “precaution”. She add that the improvement notice “formalises a lot of the inspection and review work” that had already been carried out by the company. The Department of Energy will delay coming up with a new cost and schedule for Hanford’s huge vitrification plant after a technical panel agreed with an employee that erosion and corrosion within the plant must be addressed. David Huizenga, DOE’s senior adviser for environmental management, made the announcement today in a national media call after congressional leaders were briefed this morning. Resolving technical issues, including how to keep radioactive waste well mixed and to prevent erosion and corrosion within the plant, is expected to take more than a year and cost tens of millions of dollars, Huizenga said. The testing is intended to give additional confidence that the Waste Treatment Plant can operate for the full 40 years planned to treat up to 56 million gallons of radioactive waste for disposal, Huizenga said. The waste, held in underground tanks, is left from the past production of plutonium for the nation’s nuclear weapons program. “We’re trying to address technical issues head on and realistically,” Huizenga said. By acknowledging issues now, the plant will not end up with unanticipated costs and maintenance issues in the future, he said. Now the plant is legally required to start operating in 2019 and is projected to cost $12.2 billion, but DOE will not be able to finish it by then and at that price. DOE had instructed its contractor Bechtel National in February to propose a new cost and schedule for the vitrification plant, which was due in August. But with technical questions to be addressed for parts of the plant that will handle large quantities of high level radioactive waste, Bechtel will proceed only with a cost and schedule revision for the plant’s Low Level Waste Facility, the Analytical Laboratory and about 20 support facilities. When testing is finished, it then can address additional cost and schedule information for the vit plant’s High Level Waste Facility and Pretreatment Facility. Those two buildings have areas called “black cells,” that will be too radioactively hot for workers to safely enter after the plant begins operating for maintenance or to make repairs. Construction at those facilities already has been ramped down and no further layoffs are anticipated. 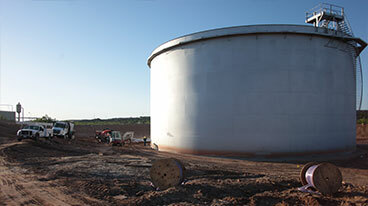 Don Alexander, a DOE scientist, raised questions regarding erosion and corrosion in piping and tanks in black cells within the plant in September in a Difference of Professional Opinion report, disagreeing with scientific opinion accepted by DOE. It was the third set of issues he’d raised in an ongoing Difference of Professional Opinion. DOE addressed his concerns with a panel of technical experts that concluded his concerns are legitimate, and now DOE is planning testing that will be done in conjunction with already planned mixing testing to resolve them, Huizenga said. “I think this demonstrates if people raise issues, we are willing to make tough decisions to address them,” Huizenga said. Japan used seawater to cool nuclear fuel at the stricken Fukushima-Daiichi nuclear plant after the tsunami in March 2011 — and that was probably the best action to take at the time, says Professor Alexandra Navrotsky of the University of California, Davis. Uranium in nuclear fuel rods is in a chemical form that is “pretty insoluble” in water, Navrotsky said, unless the uranium is oxidized to uranium-VI — a process that can be facilitated when radiation converts water into peroxide, a powerful oxidizing agent. Peter Burns, professor of civil engineering and geological sciences at the University of Notre Dame and a co-author of the new paper, had previously made spherical uranium peroxide clusters, rather like carbon “buckyballs,” that can dissolve or exist as solids. In the new paper, the researchers show that in the presence of alkali metal ions such as sodium — for example, in seawater — these clusters are stable enough to persist in solution or as small particles even when the oxidizing agent is removed. In other words, these clusters could form on the surface of a fuel rod exposed to seawater and then be transported away, surviving in the environment for months or years before reverting to more common forms of uranium, without peroxide, and settling to the bottom of the ocean. There is no data yet on how fast these uranium peroxide clusters will break down in the environment, Navrotsky said. Hanford vitrification plant testing has not shown that components that will be difficult to replace can last the required 40 years the plant is designed to operate, according to the Defense Nuclear Facilities Safety Board. Whether vessels and piping for high-level radioactive waste in the plant will corrode is an issue raised by DOE scientist Donald Alexander in an unresolved Differing Professional Opinion in May. The defense board also has been evaluating wear issues for the past nine months. The defense board sent a letter to DOE on Friday asking for a briefing within 45 days to provide confidence that the vitrification plant will operate safely and reliably for 40 years. 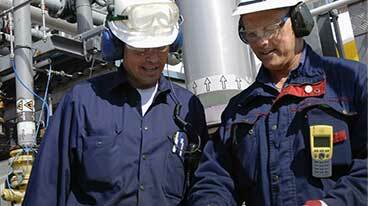 It noted that DOE, with contractor Bechtel National, is developing a course of action to address wear design issues. “However, the current pace of the contractor’s efforts to close the issues does not support timely resolution,” said a defense board staff report that accompanied the letter. Some of the vessels in question are scheduled to be installed at the vitrification plant in August and modification will become progressively more difficult and costly after the vessels are closed and installed, the report said. The $12.2 billion vitrification plant is being built to turn radioactive waste left from past weapons production of plutonium at Hanford into a stable glass form for disposal. Much of the piping and many of the vessels in the plant will be in areas called black cells that will be too highly radioactive for workers to enter once waste processing begins. Consequently, their design is required to be maintenance-free for 40 years. Experimental testing to validate the wear model was limited and the results were flawed, said the defense board letter. The design wear rates were derived mainly from information found in literature, including from experimental studies performed using slurries and conditions not representative of vitrification plant processes, the letter said. Assumptions to apply information to the vitrification plant were not adequately validated, the letter said. Project officials have said that the wear models are conservative but have not substantiated that with an analysis, the letter said. The defense board said it found wear allowances provided in the design of some vessels and the pulse jet mixers are not conservative. The pulse jet mixers are designed to operate like turkey basters, sucking up a slurry of waste and shooting it back out, to keep waste mixed in vessels without relying on moving parts that would require maintenance. Experimental testing that was done on mixing vessel erosion collected data that lacked a discernible trend and displayed physically unrealistic results, the letter said. “The Department of Energy remains fully committed to safety at this important facility, including the safety of our workers and the public,” said DOE spokeswoman Lindsey Geisler. Information from the defense board will be used as DOE further develops and implements action to address erosion and corrosion of piping, vessels and pulse jet mixers, she said. The first look inside one of Japan’s tsunami-hit nuclear reactors showed radiation, steam and rusty metal surfaces scarred by 10 months’ exposure to high temperatures and humidity. The steam-blurred photos taken by remote control Thursday found none of the reactor’s melted fuel but confirmed stable reactor temperature and showed no major damage or ruptures caused by the earthquake last March, said Junichi Matsumoto, spokesman for the plant operator, Tokyo Electric Power Co.
TEPCO workers inserted the endoscope — an industrial version of the kind of endoscope doctors use —through a hole in the beaker-shaped containment vessel at the Fukushima Dai-ichi plant’s No. 2 reactor, hoping the first look inside since the crisis would help them better assess reactor conditions and make repairs. Results of the 70-minute operation were mixed. Some parts that were photographed were not identifable, and experts are still trying to identify what the photos show, Matsumoto said. Radiation was apparent as it interferred with the electronic device and was visible as static on the images. The photos also showed inner wall of the container heavily deteriorated after 10 months of exposure to high temperature and humidity, he said. He said it would take more time and a better technology to get to the melted fuel, most of which has fallen straight down into the area that the endoscope could not reach. TEPCO hopes to use the endoscope to look inside the two other reactors that had meltdowns but that also would require customization of the equipment and further reduction of radiation levels. Better assessment will help workers know how best to plug holes and cracks in the containment vessel — a protective chamber outside the core — to contain radiation leaks and gradually work toward dismantling the reactors. Three of six reactors at the Fukushima plant melted down after the March 11 earthquake and tsunami knocked out the plant’s cooling systems and set off the world’s worst nuclear accident since Chernobyl. TEPCO and nuclear officials have said that melted fuel probably fell to the bottom of the core in each unit, most likely breaching the bottom of the core and falling into the primary containment vessel, some dropping to its concrete floor. Experts have said those are simulation results and that exact location and condition of the fuel could not be known until they have a first-hand observation inside. The probe Thursday successfully recorded the temperature inside the containment vessel at 44.7 Celsius (112 F), confirming it stayed below the boiling point and qualifying a ‘cold shutdown state,’ the stable condition that the government had declared in December despite skepticism from experts. The probe failed to find the water surface, which indicate the water sits at lower-than-expected levels inside the primary containment vessel and questions the accuracy of the current water monitors, Matsumoto said. The government has said that it would take 40 years until the Fukushima plant is fully decommissioned. A recent investigation by the Nuclear Regulatory Commission found that the failure of a water pump due to the corrosion of certain kinds of stainless steel components caused an August shutdown of the Palisades nuclear power plant in Covert. In a news release from his office,Congressman Edward J. Markey, D-Mass., senior member of the House Energy and Commerce Committee, questioned why a substandard steel is still being used for certain plant components. Despite scientific findings and industry experience reporting its vulnerability to cracks and corrosion, the types of stainless steel –known as 410SS and 416SS – continues to be used in water pumps used to provide cooling water to critical safety-related equipment such as component cooling water, diesel generators, and containment vessel air coolers for nuclear power plants throughout the U.S.
Markey sent a letter querying the NRC about the vulnerability of these metals to corrosion cracking and their continued use despite two decades of failures in nuclear power plants, according to the news release. Despite NRC alerting licensees about issues with these pumps, failures continue and licensees have not been required to take any action or even report back to the NRC regarding what they are doing to identify, mitigate or prevent corrosion cracking that could cause component failures. • Which U.S. nuclear power plants currently use 410SS and 416SS components and what are the known uses of 410SS and 416SS? • Will the NRC undertake a review of 410SS and 416SS steels to determine if additional periodic inspections and mitigation efforts are warranted? • What regulatory actions will be undertaken in order to assess, require licensee reporting and inspection of, and address problems involved in 410SS and 416SS components? In March, Congressman Fred Upton pledged support of the nation’s nuclear plants, three of which — Palisades Power Plant in Van Buren County and two at the Cook Nuclear Plant in Berrien County— are in his district, which covers southwestern Michigan. Upton is chairman of the House Committee on Energy and Commerce. U.S. Rep. Dennis Kucinich (D., Cleveland) asked the Nuclear Regulatory Commission on Monday to hold a public hearing on the cracks in the concrete containment building at the Davis-Besse nuclear power plant 10 miles west of Port Clinton. In a letter to the chairman of the agency, Mr. Kucinich disputed FirstEnergy’s description of the cracks as “hairline” and as limited to decorative concrete. He said the cracks appear to follow the line of the reinforcing bar, are clearly visible, and run for 30 feet. He said the cracks could be laid to “concrete carbonation,” the seepage of carbon dioxide through concrete allowing for the corrosion of steel reinforcing bars. The cracking “seems to indicate a widespread problem that will undermine the structural integrity of the shield building,” Mr. Kucinich wrote to Gregory Jaczko, chairman of the agency. Mr. Kucinich asked the agency to conduct a public hearing on the cracks before FirstEnergy is allowed to power up the reactor. A FirstEnergy spokesman said the company has a “root cause team” looking at the problem but that carbonation appears not to be an issue. “Our testing on a number of concrete samples showed no carbonation on any of the crack surfaces of those that we tested, and [from] our inspections of the rebar, the rebar looks very good and healthy. There was no corrosion of the re-bar,” said spokesman Jennifer Young. “[Mr. Kucinich’s] letter suggested we weren’t telling the full story. I don’t believe that to be the case. The NRC understands everything we’ve looked at,” Ms. Young said. She said there are no plans for a hearing and that FirstEnergy continues to work on the crack issue as part of its regular outage. FirstEnergy is shooting for restarting the plant around the end of the month. The cracks were discovered after a hole was cut in the outer shield building to install a new reactor head. FirstEnergy has submitted to the NRC its finding that the cracks are not a safety hazard and is following up by submitting technical reports to the commission in response to its questions about the matter. The stagnant coolant water in the reactor vessel and pipes in the first unit of the Kudankulam Nuclear Power Project (KNPP) is giving sleepless nights to scientists and engineers who say the risk of damage to the equipment is increasing each day. “Water has to be circulating so that the components are not exposed to the risk of corrosion. However, the quality of stagnant water will deteriorate over a period of time, which in turn poses a risk to the reactor components like the primary pipes and the reactor vessel,” said a KNPP official preferring anonymity. Project work since October has come to a standstill with intensifying protests by villagers on grounds of safety. Roads have been blocked and the local administration has advised the KNPP staff to sit tight inside their homes, fearing violence. “It is the demineralised water – water in pure form – which is fed into the systems. However, to maintain its purity the water should be circulated as stagnant water will interact with the metal surface and quality will change,” said K S Parthasarathy, former chairman of Atomic Energy Regulatory Board (AERB). Parthasarathy said there would be a water chemistry group to look at the quality of water used in reactors. “Water is a hostile fluid. It is not desirable to have stagnant water inside a reactor. However, it is not a serious issue as the number of days that the water remains stagnant is comparatively low,” Parthasarathy added. “Maintaining the purity of stagnant water is an issue that is facing us. We are not able to check the chemistry of the water that is inside the power plant,” said an NPCIL official. The helpless officials confined to their homes for nearly a month are hoping that there is no major damage to the reactor components resulting in further delays to the project. “The systems cannot be stopped and restarted. Decommissioning a reactor is different as one need not bother about the damages the systems would undergo after the plant is stopped,” said the official, who spoke demanding anonymity. On September 22, the Tamil Nadu government passed a resolution urging Prime Minister Manmohan Singh and the Central government to halt work at Kudankulam till the fear of the people were allayed. The U.S. Department of Energy research grant is focused on developing cutting-edge nuclear energy technologies and training and educating the next generation of leaders in the U.S. nuclear industry. Principal investigator James F. Stubbins, professor and head of nuclear, plasma, and radiological engineering at Illinois, said the UI researchers will look at new materials that can withstand extraordinarily high temperatures and resist corrosion. This would allow for more efficient use of nuclear energy at the same time it makes the equipment safer from any sort of leak, Stubbins said. “The idea that we propose is to develop material that could go to very high temperatures for energy in general, but nuclear energy in particular, without corrosion,” he said. UI professors on the grant are Petros Sofronis and Huseyin Sehitoglu in the Department of Mechanical Science and Engineering; Brent Heuser in the Department of Nuclear, Plasma and Radiological Engineering; Ian Robertson in the Department of Materials Science and Engineering; and Andy Gewirth in chemistry. Stubbins said higher temperatures result in more energy efficiency. “They’ll last much longer and run at higher temperatures to efficiently convert steam to electricity. In most cases, two-thirds of the energy is lost in the conversion process,” he said. The end result, Stubbins said, is power that would not increase global warming, because it produces no carbon pollution. He said the more-efficient processes would create clean energy jobs, while bolstering the U.S. nuclear energy industry — at a time some countries are cutting back on the plants. In the wake of the earthquake and tsunami in Japan on March 10, Germany announced it will close all its nuclear energy programs by the end of 2022. Italy has followed suit. The UI project could start by Oct. 1.